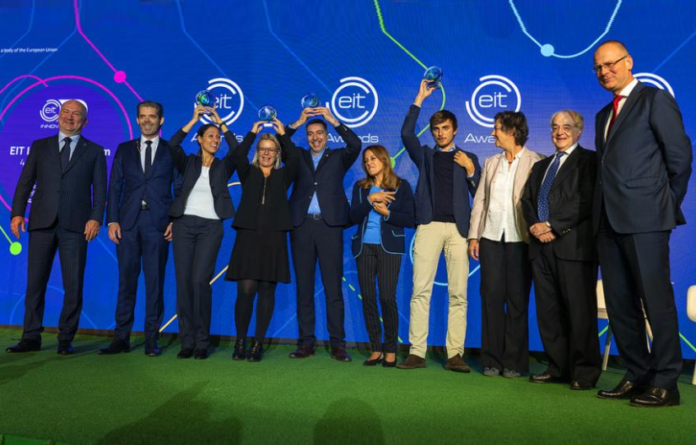 Yesterday evening, the European Institute of Innovation & Technology (EIT) rewarded Europe’s top entrepreneurs Simone Accornero (Italy), Ioannis Tamanas (Greece), Bieke Van Gorp (Belgium), Isabel Hoffmann (Canada) and Laura Soucek (Italy) for innovations in the fields of energy, health and food. 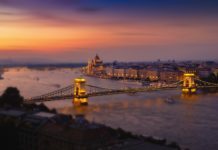 The EIT Awards ceremony took place in Budapest – during INNOVEIT 2018, the EIT’s annual innovation forum (10th anniversary). The winners, who we’ll introduce to you in more detail further below, were chosen from among 38 nominees by an international jury. The EIT CHANGE Award recognises top graduates from EIT education programmes and the winner is awarded €20,000. This year’s winner is Simone Accornero (supported by EIT InnoEnergy), CEO & co-founder of Barcelona-based FlexiDAO – a software that automates energy data processing and exchanges, while combining traceability and transparency for the first time. 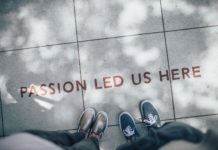 The EIT Innovators Award recognises teams with high impact products and services and is awarded €50,000. 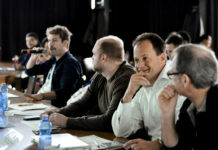 This year’s winning team is led by Ioannis Tamanas (supported by EIT Health), President and CSO of Altoida (based in San Diego and Lucerne). The Alzheimer’s Disease Prediction Service (ADPS) is one of the first validated solutions able to predict the risk of Alzheimer’s for people over 50. 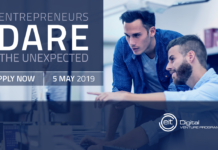 The EIT Venture Award recognises successful entrepreneurial startups and scale-ups and is awarded €50,000. This year’s winner is Bieke Van Gorp, Chief Business Development Officer and co-founder at Qompium (supported by EIT Health). 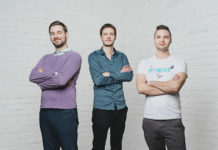 Qompium (based in Hasselt, Belgium) developed FibriCheck, a mobile application that enables users to detect atrial fibrillation and take preventive action. The EIT Woman Award recognises outstanding women innovators and is awarded €20,000. This year’s winner is Isabel Hoffman, CEO of Tellspec (supported by EIT Food) that has developed a rapid, portable and affordable sensor to test for the quality and decay of raw white fish, and the fraudulent use of excess water in frozen fish. The EIT Public Award recognises the public’s top innovation with thousands of votes cast across Europe. This year’s winner is Laura Soucek, Founder and CEO of Peptomyc (supported by EIT Health and based in Barcelona, Spain) a peptide-based solution that can serve as a new treatment option for cancer patients.